Retail print stores have their uses, but NEVER if you’re looking for an experienced printer. An experienced printer WANTS to make sure you understand what’s going to be produced before it goes into production. Retail printing is convenient, but the price you pay is not. Their pricing structure is the same if you walked in to quick print your band flyers or your organization’s flyers for an upcoming event, this makes your costs easy to understand, but completely unfair for the returning corporate customer who wants lower cost and high quality. With Worrell Corporation, we work exclusively B2B. This means you get a dedicated Sales Team that’s focused on building a relationship. When working with Worrell Corporation, you’ll never wait in line, deal with someone who doesn’t understand the print industry. We strive to become your branding consultants, finding ways to save you money and make doing business EASY. We’re printers, but above all – we’re in the customer business. We don’t have one press or retail photocopying machine that makes you compromise on cost and quality. 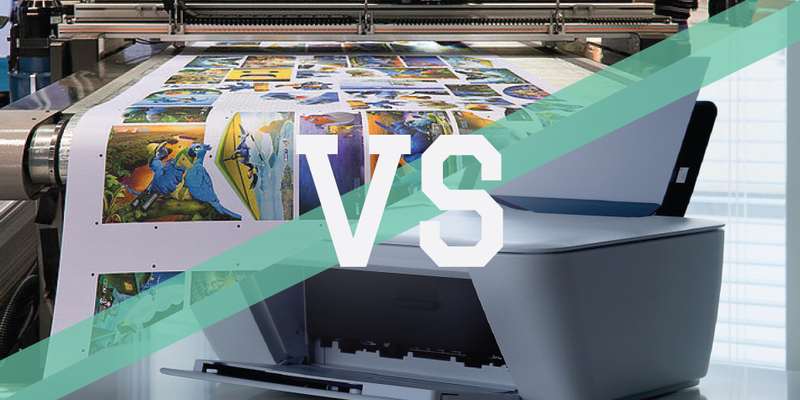 Retail print shops are limited by the machinery they have on-hand. Worrell Corporation works with hundreds of specialized manufacturers that allows us to produce ANY printed item to meet your standards and satisfaction, not a half-baked version of what you intended to produce. We can Rush production too! I don’t know who started the rumor that printing can only be done quickly at retail print shops, but they are wrong. 2 Days from now, next day, yesterday – we hear it all the time. Sometimes rush production is part of the print business with which we are very familiar (but hopefully not ALL the time, okay?). Worrell Corporation does RUSH production every day. Just ask – we’ll work meet your production schedule. Opportunity costs, they are important to understand. If you operate your own business, your time is more valuable running your business than trying to figure out how to typeset a flyer. Retail shops want you to provide them with finished artwork or force you into some generic template to make the process easier. Our design team wants to work with you to develop a custom piece that is unique and reflective of your branding. Keep your opportunity costs low and do what you do best, leave the design to us. So you drive to your retail print shop, drop off your files that need to be printed, drive back to the office, go later and pick up your prints. Just like how you don’t order at a counter at St. Elmo’s and then take your meal back to your table, we want to provide the same level of services as the best waiters you’ve ever had. Fulfillment is the final step of our process. Your time is valuable, stop driving in circles for a print project that can be handled from start to finish by your local experts – Worrell Corporation. Rush opportunities are never a reason to cut corners, call your Worrell sales team and see how we can help, even when there’s not a lot of time. Don’t believe that your corner print store is more convenient – it isn’t. From beginning to end, you’ll find Worrell Corporation is there for you and your business.